Middleton client Alex Lowrie was determined to mark the 75th anniversary of the real-life ‘Heroes of Telemark’ – a group that includes Alex’s own great uncle – and their mission to sabotage Hitler’s atomic bomb plans. 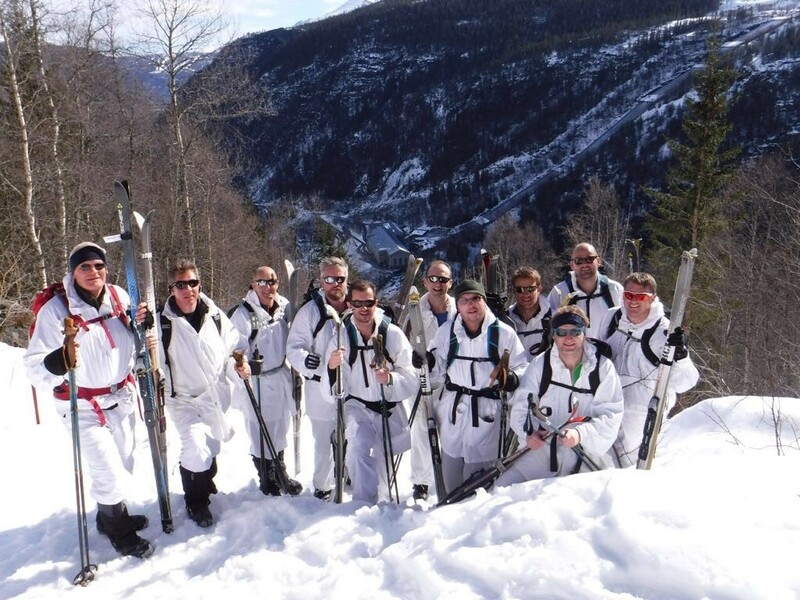 As well as funding the trip themselves, Alex and his team have so far raised over £30,000 for Alzheimer’s Society and the Special Boat Service Association (SBSA), and hope to add to this total on Thursday 14 September 2017, when best-selling author Damien Lewis will talk about the original Heroes of Telemark, the subject of his book Hunting Hitler’s Nukes. “Supported by ex Special Forces ‘handlers’ we carried and pulled our own equipment, slept in snow holes and sometimes in the huts used by the original saboteurs, and finally re-enacted the attack on the Vermork heavy water* factory,” says Alex. General admission tickets (£35) for the talk at The Royal Geographical Society, Kensington, which starts at 7.15pm, and Gold tickets which include a drinks reception from 6pm (£50) are available now. If you are unable to make it and would still like to make a donation, this can also be done through the ticketing website, or Virgin moneygiving. * The story that became The Heroes of Telemark was officially known as the Norwegian heavy water sabotage, ‘heavy’ water being a crucial component in nuclear weapon production.